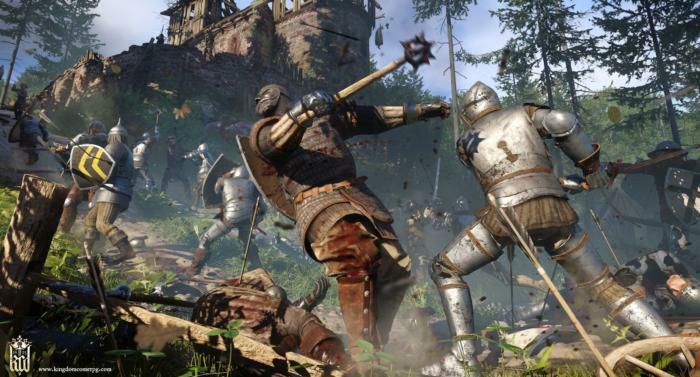 Kingdom Come: Deliverance has positioned itself as a “realistic Elder Scrolls game.” Taking the first-person viewpoint, the wide-open world, and the get-better-at-a-skill-by-using-it talent system, there are definite similarities. Just leave all the magic and dragons and whatever behind. 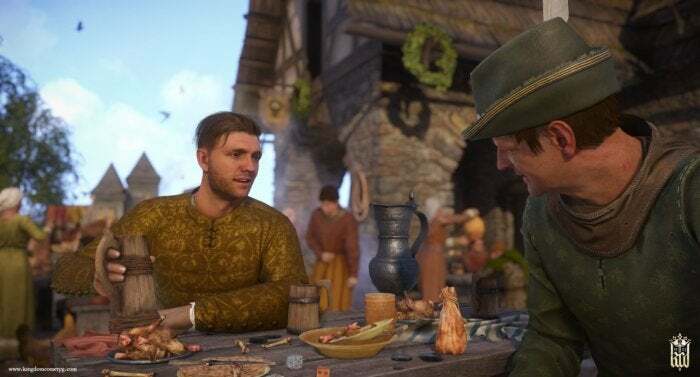 Kingdom Come: Deliverance is a period drama set in the Holy Roman Empire of the early 1400s, within the kingdom of Bohemia. You play the lazy son of a master blacksmith whose village is invaded and burned to the ground by King Sigismund. That really happened. King Sigismund did in fact invade this village and raze it, we were told during our demo. It’s excellent impetus for your own rags-to-riches adventure, but has basis in actual historical fact. So “Realistic Elder Scrolls game” is perhaps understating the whole endeavor. It’s obsessive. Listening to Warhorse Studios describe Kingdom Come: Deliverance, it seems like a game tailor-made for history buffs. Every village in the game is an actual historical village in the 1400s. Most of the important characters were also pulled straight from history, with accompanying codex entries the length of a mini-encyclopedia hidden within the menus. Even the maps are done up in the style of the times, with a hand-drawn medieval look I don’t think I’ve seen used in a game before. It’s like Assassin’s Creed without the accompanying layer of conspiracy theories, more a work of living history than a game in some regards. Don’t get me wrong, though: It’s an ambitious game too. Our demo focused on the opening 30 minutes of the game, so we didn’t get to see much in the way of story. I pretty much spent my time hauling coal to my father’s forge and then helping him create a sword for the nearby lord. But Warhorse did speak in broader terms about the world it’s building—one that’s a far more reactive take on the open-world RPG. For instance, an early quest tasked us with recovering a debt from a local drunkard. With the right stats we could of course talk the money out of him, or we could beat it out of him. If we fail in that regard, we could return and tell our father, at which point he’ll take care of it. Or if you keep exploring, you might find some other way around the quest, maybe some fellow youths to teach you how to break into the drunkard’s house. Many of these quests are also time-limited, which further changes how events play out. Another early quest has you grab a beer for your father on the way home. “Get one from the cellar so it’s still cold,” he says as you dash off. Buy the beer and come back immediately and your dear ol’ dad will drink full to bursting. Get distracted, though? The beer warms up, and your dad will lament his lazy son again. 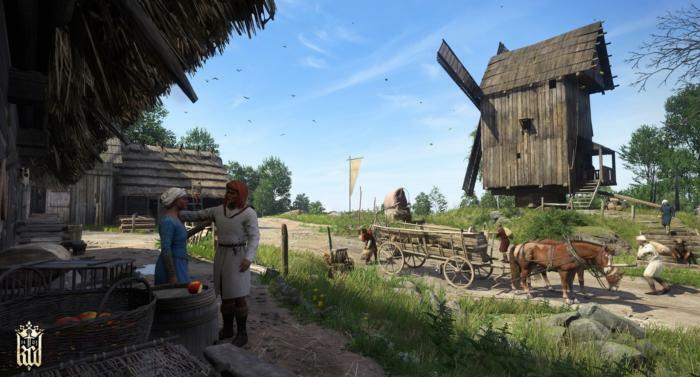 This is a minor example, but from the looks of it Kingdom Come is studded with time-sensitive events that lead to entire quests or quest paths, all sorts of people actually going about their lives and you’re just one more peasant in their midst. It’s very A Mind Forever Voyaging in that regard, or Pathologic—the latter another Elder Scrolls-alike, actually. You can even lock yourself out of quests entirely. Warhorse stated that it wants the main quest to be modular, easily completed no matter the path you choose, but side quests can end at any moment, either before you’ve even started or (if you really screw up) right in the middle of one. If you’re feeling truly sadistic you can even kill quest givers. That’s one way to fail. Then there are the small touches I’ve already come to love. Saving the game requires drinking alcohol, and only a certain amount can be carried at a time, limiting the amount of save-scumming. And if you wear a helmet into a battle the screen occludes appropriately—you’ll get a narrow band of vision in the middle, surrounded by black. Big Winner Of Intel-Mobileye Deal: Blackberry?